Let The LCO Group optimize and proactively manage your desktop or laptop! Today, more than ever, businesses are seeking to cut costs, while continuing to run with a lean IT staff. Compounded with the frequency of user issues and the time it consumes, it’s not a surprise when most IT projects are put on hold. 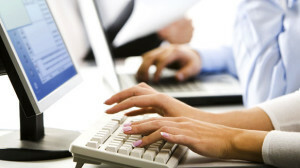 The LCO Group can augment your existing (or non-existant) IT staff by providing Desktop and Helpdesk Support Services. For small businesses without internal staff, this provides a much-needed proactive approach to desktop management. For larger firms who have internal staff, our service allows your current IT team to focus on the much needed server consolidation tasks or upgrades necessary for your business to work efficiently. When a user desktop issue arises, The LCO Group’s support staff will be able to guide them through a solution remotely or onsite. Our staff will also have all the necessary documentation and familiarity with your current network environment to all provide the speediest recovery possible. Too often, network consultants play the old game of billing for every single syllable that comes out of their client’s mouths. Ask a question about that last invoice? They bill you for it. Question about what time they are coming? Bill. Upset they left a hamburger on the presidents desk? Clean it, but send a bill. At The LCO Group, we don’t play these games. We are in it for the long-haul. We guarantee all of our work – if you aren’t happy, we are coming back to fix in – on our dime. You forgot your password? Call us – you won’t get a bill for a thirty second phone call. Let us show you how different – and how good – a computer consulting firm can be. The LCO Group – doing technology right, one client at a time.